Between the 1940s and the 1960s the microcar posed a challenge to large companies producing cars in huge volumes to a uniform pattern. The microcar was the opposite, produced by small entrepreneurial start-ups using quirky, unusual design concepts. 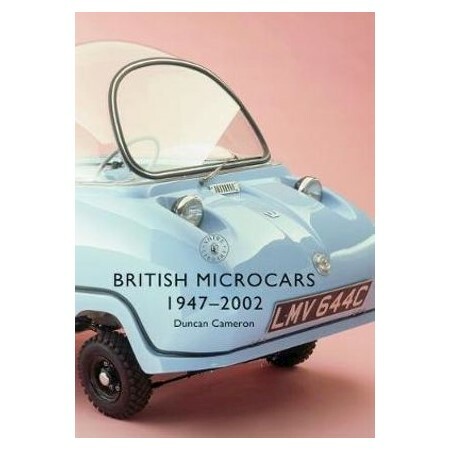 This book is a beautifully illustrated history of British microcar history from the early days of Bond and Reliant, to the proliferation of micro marques during the 1950s and their demise during the 1960s. It explores many eccentric British concepts, but also includes the influential continental competitors. It examines the social and economic reasons for the disappearance of the type and the return of the microcar in the twenty-first century, showing how, like its mid-twentieth century counterpart, it is challenging the big company orthodoxy. Duncan Cameron worked for the British Council for many years and now is resident in Brighton, not far from the finishing line of the Veteran Car Run. He has been a contributor for many years to a series of educational books about international business. He became fascinated by cars in the 1950s after his mother bought an Isetta, and still has a photographic memory for cars of that period.